Wade Lake Cabins lie in a small spring fed clearing just above the lake. The cabins overlook a large grassy area and a small pond. 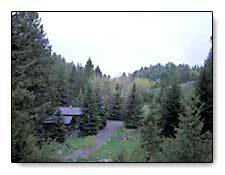 Fireweed, mixed with aspens, firs and pines, decorate the hillsides around the resort. 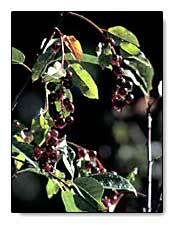 There is also an abundance of lush shrubs, wildflowers and berry bushes, kept green by natural spring water. A large campfire ring on the lawn is there for guests to enjoy and a foot trail leads down to the lake front and boat dock. Feeding Time...Guests are treated to the sights and sounds of ospreys fishing on the lake. 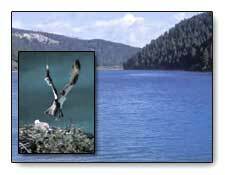 Once successful, ospreys face the challenge of defending their catch from persistent bald eagles that prefer to let the osprey do the hard part! 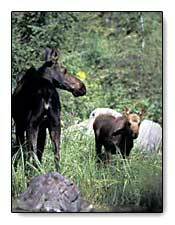 This area is also prime moose habitat.